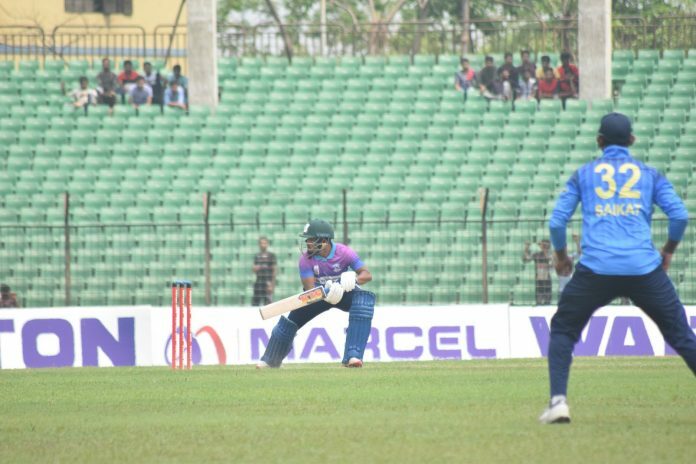 Prime Bank Cricket Club beat Abahani Limited by 16 runs in 5th round thanks to Anamul Haque’s third successive century of Walton Dhaka Premier Division League 2018-19. It was Abahani’s first defeat of the season. Legends of Rupganj chased down Gazi Group Cricketers target of 251 with 8 wickets remaining as Mehedi Maruf and Jaker Ali struck unbeaten centuries. Lt. Sk. 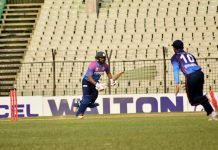 Jamal Dhanmondi Club Ltd. sealed a thrilling 2-wicket win over Mohammedan Sporting Club on the other match of the day at Bangladesh Krira Shikkha Protisthan, Ground-3. Result : Legends of Rupganj won by 8 wickets. Result : Prime Bank Cricket Club won by 16 runs. Mohammedan Sporting Club vs Lt. Sk. Jamal Dhanmondi Club Ltd. Result : Lt. Sk. Jamal Dhanmondi Club Ltd. won by 2 wickets.